Do you think you have 21st Century teachers and learners in your school? How would you know? Titahi Bay North school were committed to finding answers to this in their kura, and they were determined to explore this beyond guessing or making assumptions. Titahi Bay North School (2 rumaki classrooms, 3 English Medium classrooms) has strengths in Te Marautanga o Aotearoa and Learning with Digital Technologies PLD. When the school underwent LwDT PLD (2014-current), the Māori Medium e-Learning Planning Framework (MMeLPF) or Te Rangitukutuku was used as a self-review tool, to see where they were currently ‘at’ in terms of e-capability and where they’d like to refocus themselves in the future. Te Rangitukutuku provided some valuable data the kura could use to identify, address and achieve new e-learning goals through LwDT PLD. Hard copies of Te Rangitukutuku were distributed to the whole staff in English. This was viewed as an inclusive bi-lingual tool for all to access, with a focus on Māori learners’ needs at the fore. The hard copy was used to help guide discussions round the potential, language and intention of the self-review tool. Each staff member completed the hard copy Te Rangitukutuku self review survey. The hard copy enabled a visual representation of the review, an awareness of the tool in it’s entirety and also an opportunity to unpack areas of uncertainty throughout this time. Once all individual contributions were completed, the results could be collated by school leaders, e-learning leaders (as well as LwDT facilitators) and analysed using the many filters such as: tumuaki, leadership, kaiako, student and whānau. [Insert other filters here if need be]. The accumulative data was presented back to the staff in matrix and graph form. 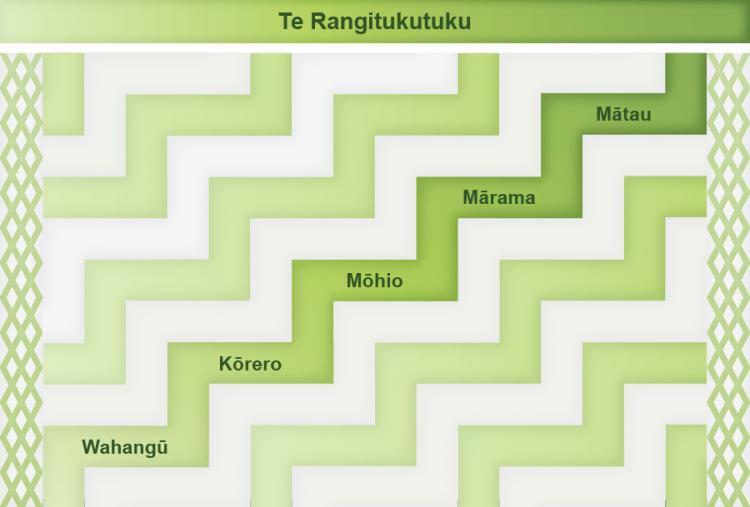 For example, the matrix overview can be used to show how many participants have responded to which dimension and at which phase of development (Te Wahangū – Unaware, Kōrero – Exploring, Mōhio- Trialling, Mārama – Implementing, Mātau - Engage/reviewing). Individual goals were created that reflected the school-wide foci and align with performance, appraisal and PLD practices. Even though three goals were identified to address, other areas of Te Rangitukutuku have also been developed and extended as a result of using this tool to define and achieve e-learning goals. The outstanding results (between two time periods) speak for themselves. Are you wondering how well you’re going with integrating technologies in your school? What is your measure and what is your ideal? MMeLPF could be the tool for you. This self-review tool enables all voices to be heard, in the most inclusive and constructive way. Feel free to tell us if/how you’re already using this too.